Additional Title: What traffic jam? 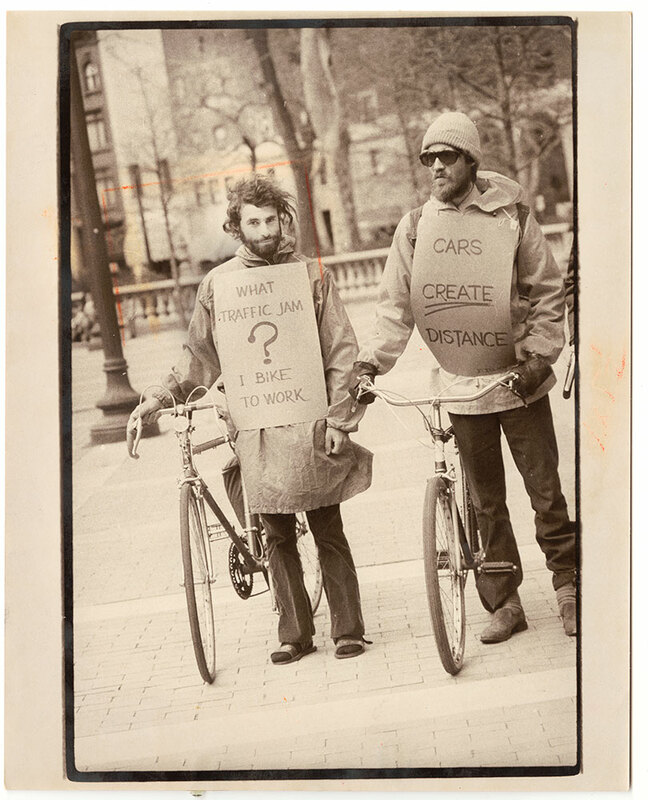 This photograph appeared in the April 7, 1977, Philadelphia Inquirer. These cyclists are promoting bicycles as the sensible transportation alternative to cars, coinciding with the longest public transit strike to date in Philadelphia. Their signs read: "What traffic jam? I bike to work." and "Cars create distance"